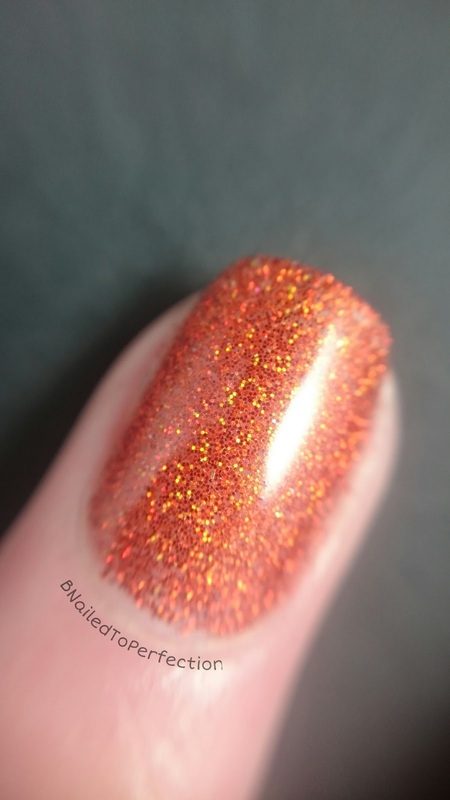 B Nailed To Perfection: We Heart Nails UK Glitter swatches and review - Part one. 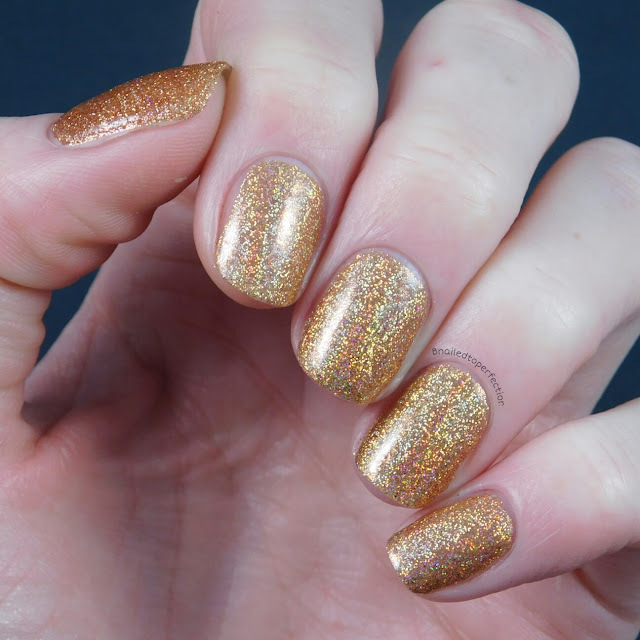 We Heart Nails UK Glitter swatches and review - Part one. I have an epic glitter review for you today! The lovely Laura at We Heart Nails UK sent me 24, (yes 24! 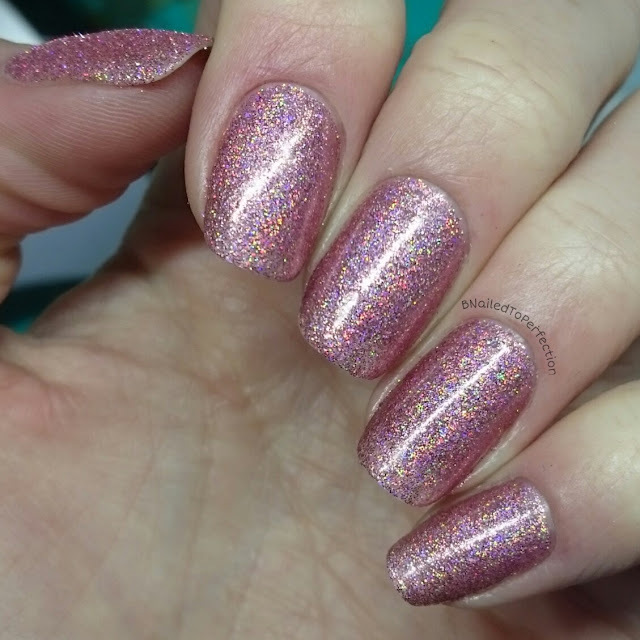 ), holographic glitters to share with you all. 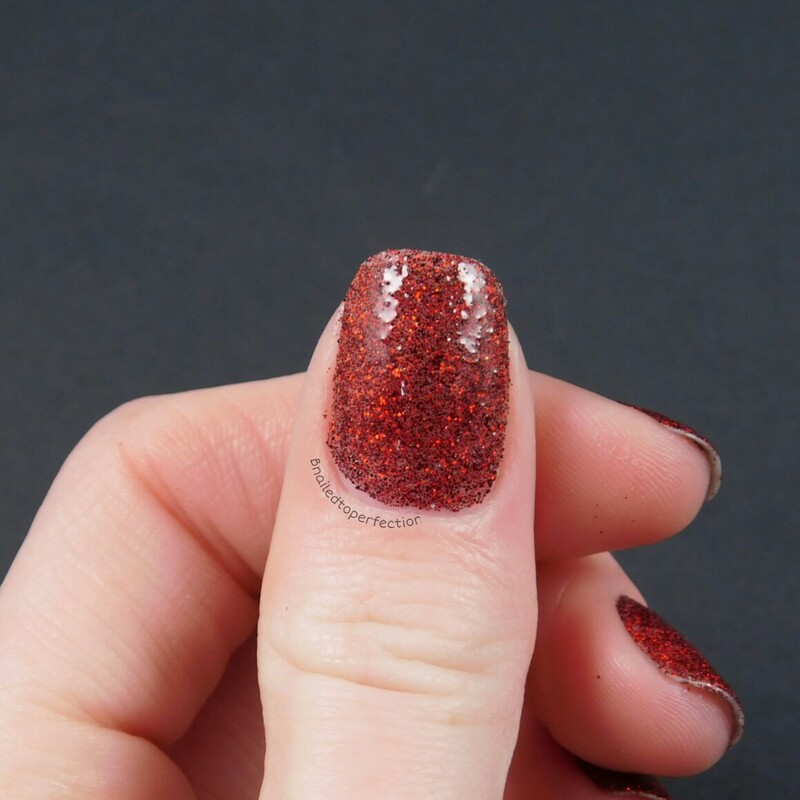 The review will be in two parts with 12 glitters per post. 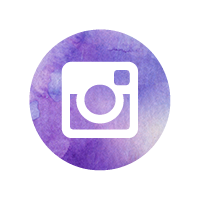 Both posts will consist of three pictures per glitter. 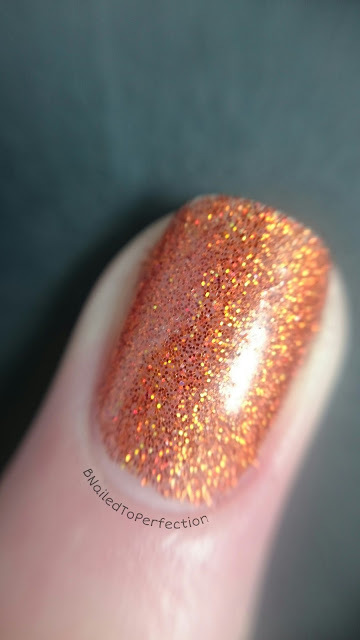 A full swatch using gel polish, a swatch on my thumb using regular polish and a macro. 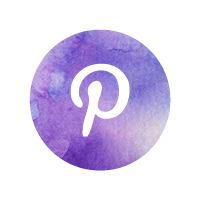 The second post will be on Friday. 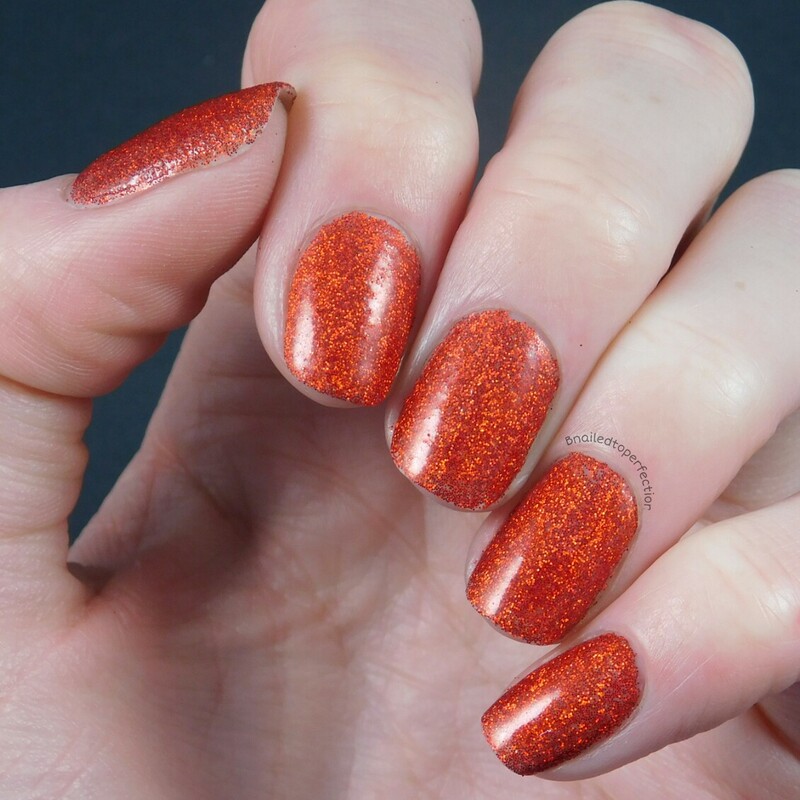 So here's some essential information about these glitters. They are 004 hex, cosmetic grade and are made from PET plastics. 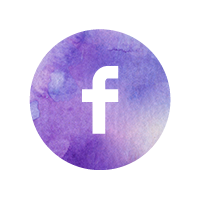 MSDS sheets are available which is an essential item for all nail techs out there. 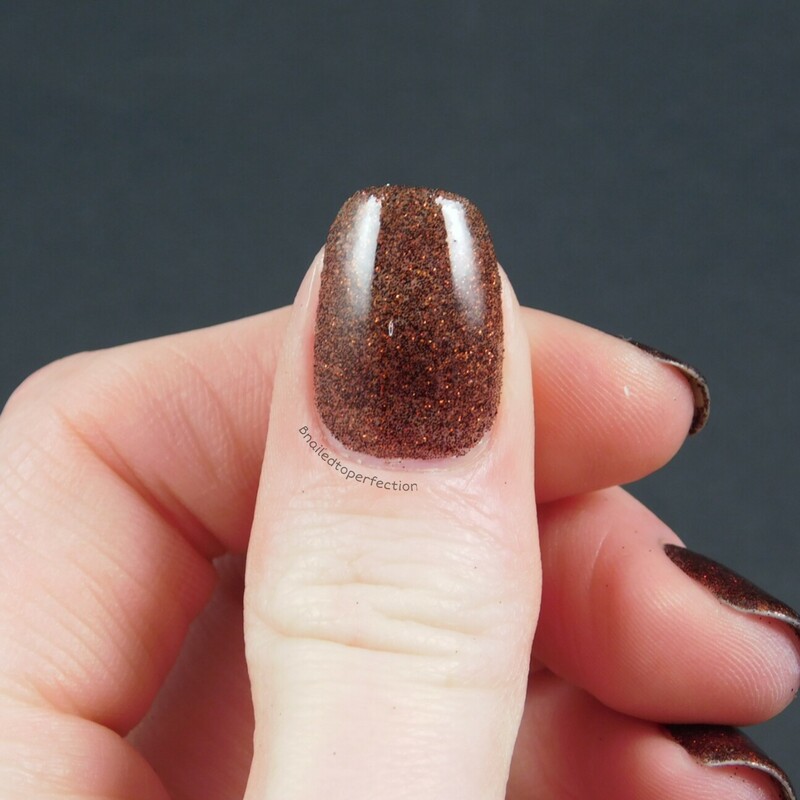 They are also solvent resistant so can be used with any nail polish, gel polish, acrylic and even gel. 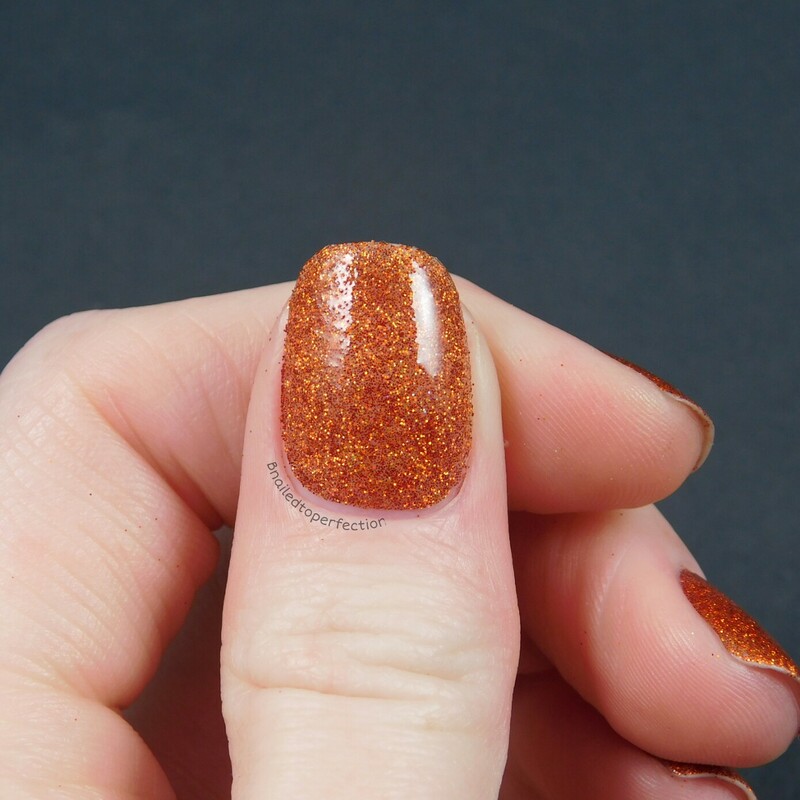 As they are super fine, they are perfect for burnishing into the sticky layer of gel polish which is how I've done each swatch. I thought I would also show how well they work with regular nail polish. 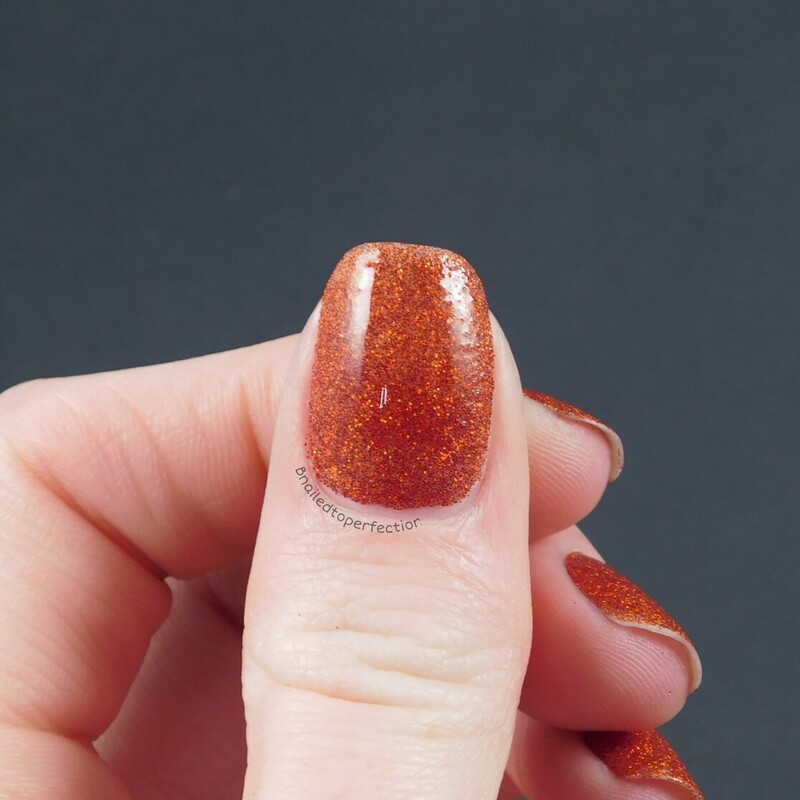 I saw a post saying to use foil glue to adhere the glitter to the nail when using regular polish and it works brilliantly. All swatches were done over a clear base, to show you how great the coverage is. 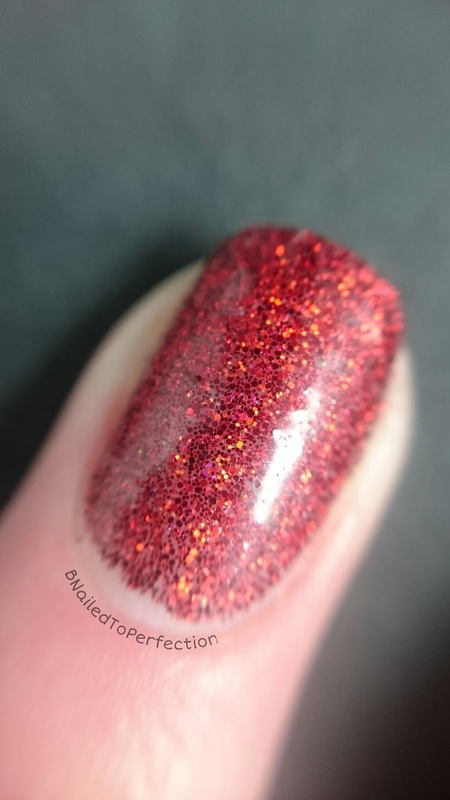 I also only used one coat of top coat for the purposes of swatching but I would always recommend two coats when using glitter. 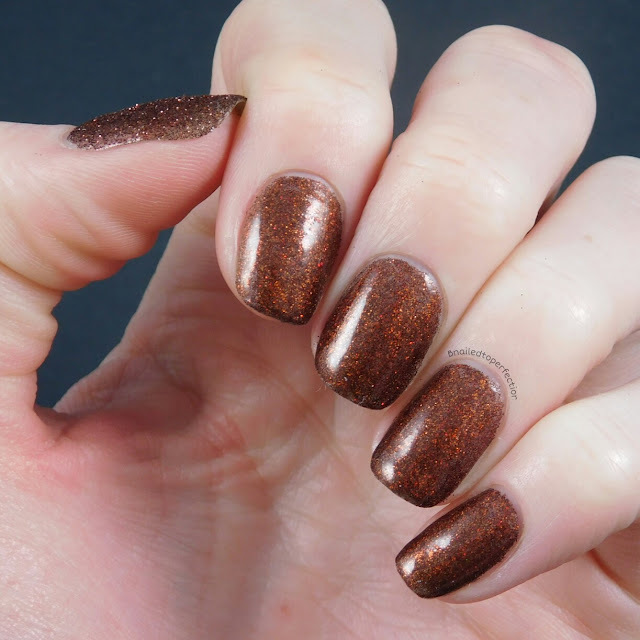 Phew... that's enough chit chat..lets see some swatches! 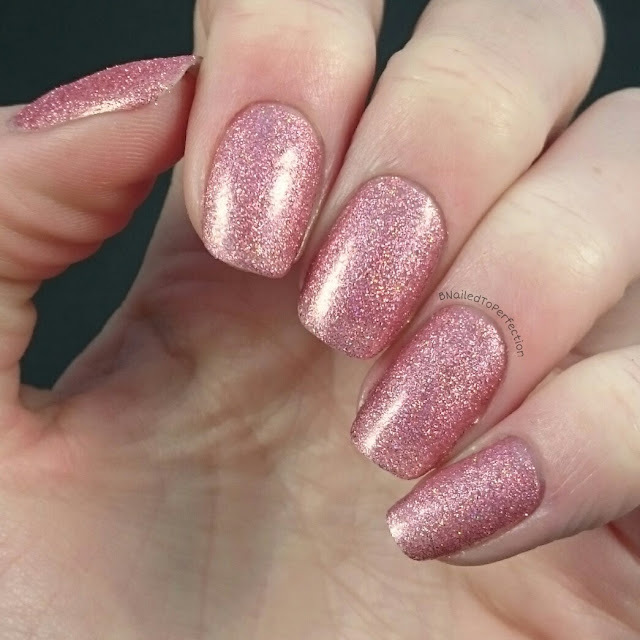 First up we have Pink Champagne which is a pink/gold holo. 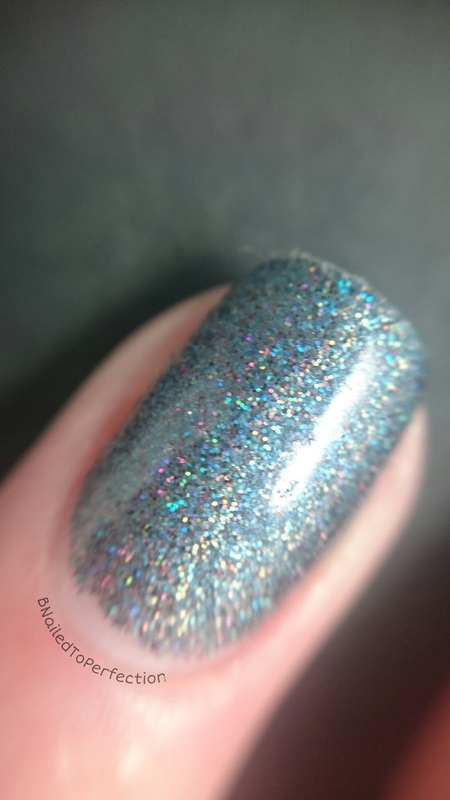 I actually re-did this swatch at the end and used my phone to take the picture as my camera really washed out this colour for some reason. Just to show you the holographic effect a bit more I took a quick picture under my new Daylight LED lamp. 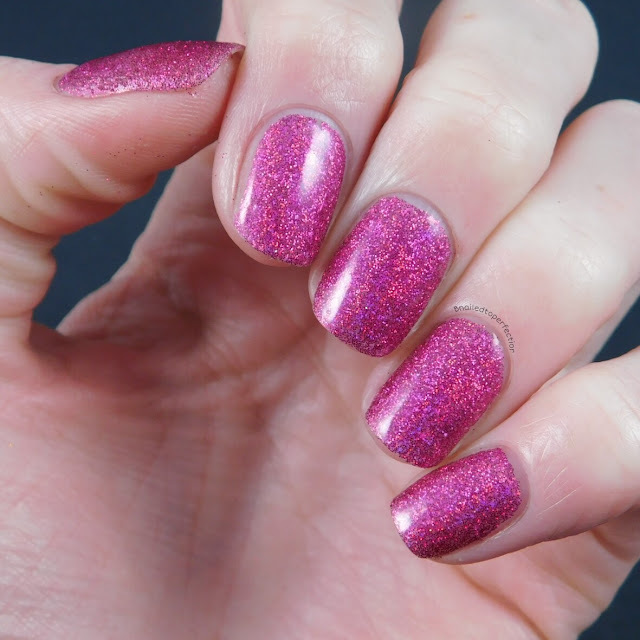 Next up is Fuchsia Fizz which is a fuchsia holo. 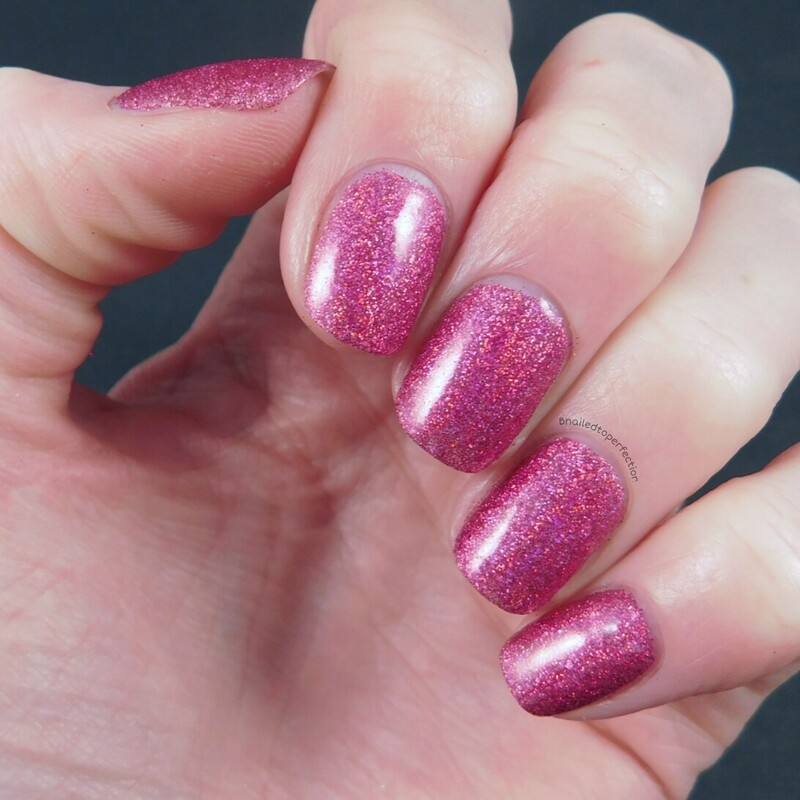 Since I was sent these glitters there is a new glitter added to the website - Pink passion which is a raspberry holo. 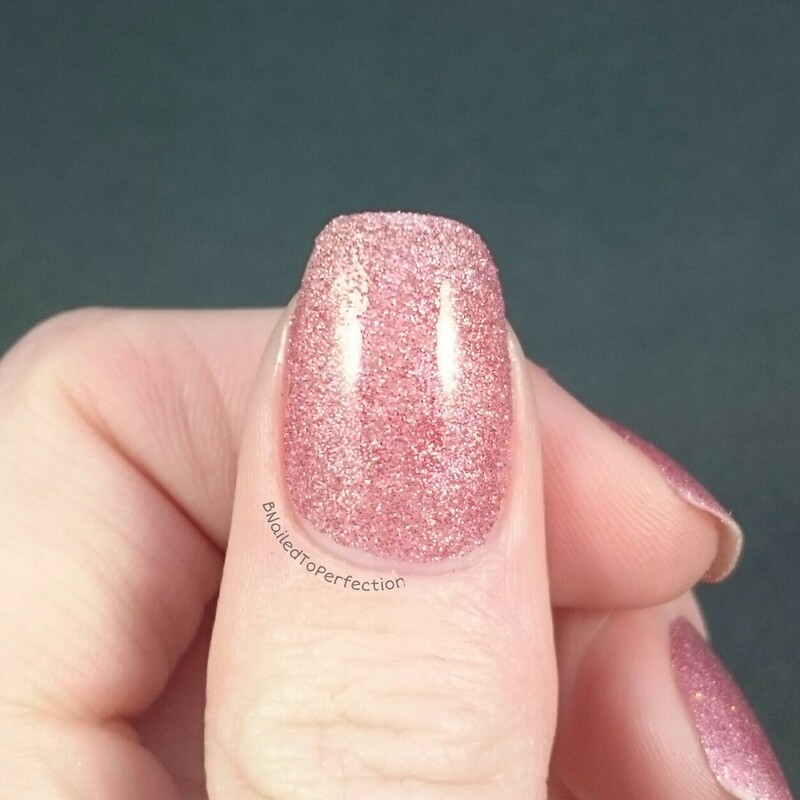 This is Pinkies Polished. 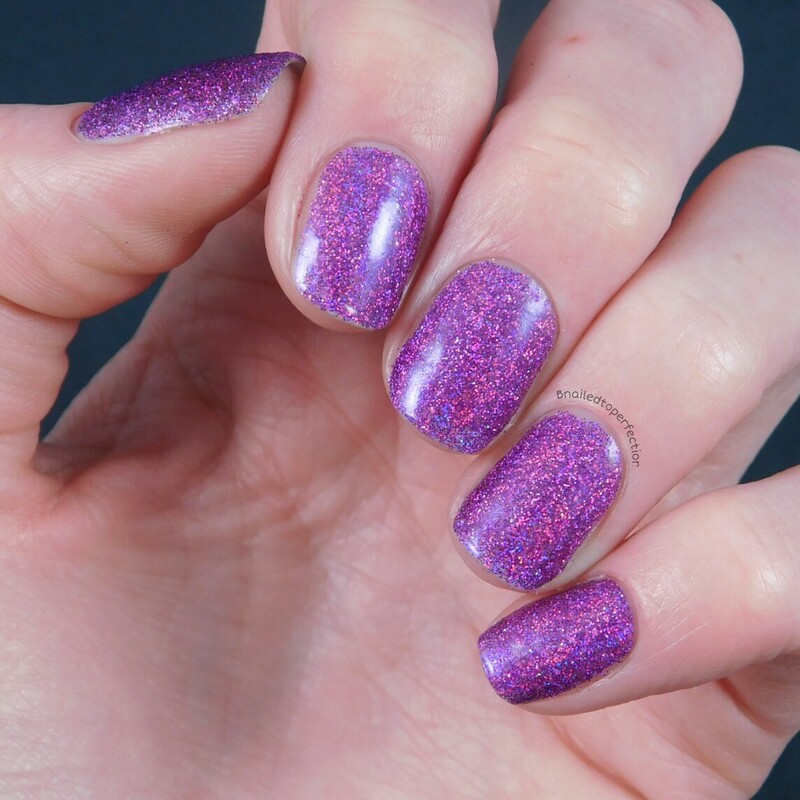 A deep pinky/purple holo. 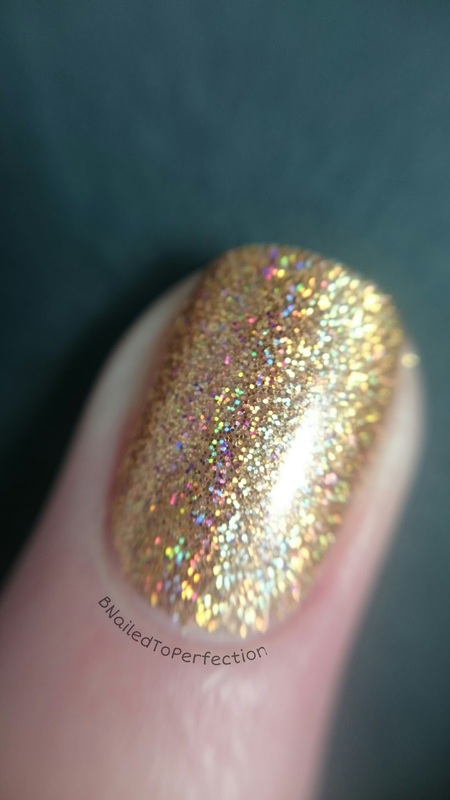 Fluttershy is a very delicate pinky/lilac holo. 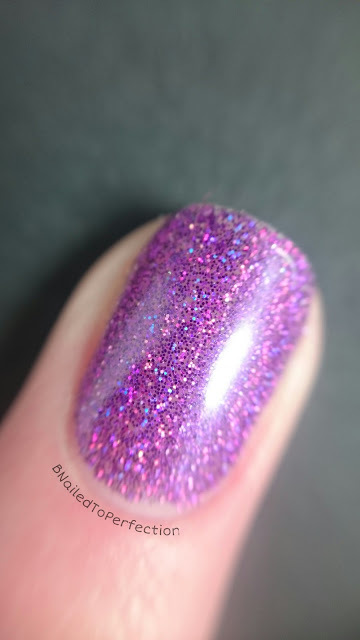 A personal favourite of mine, Purple Haze. 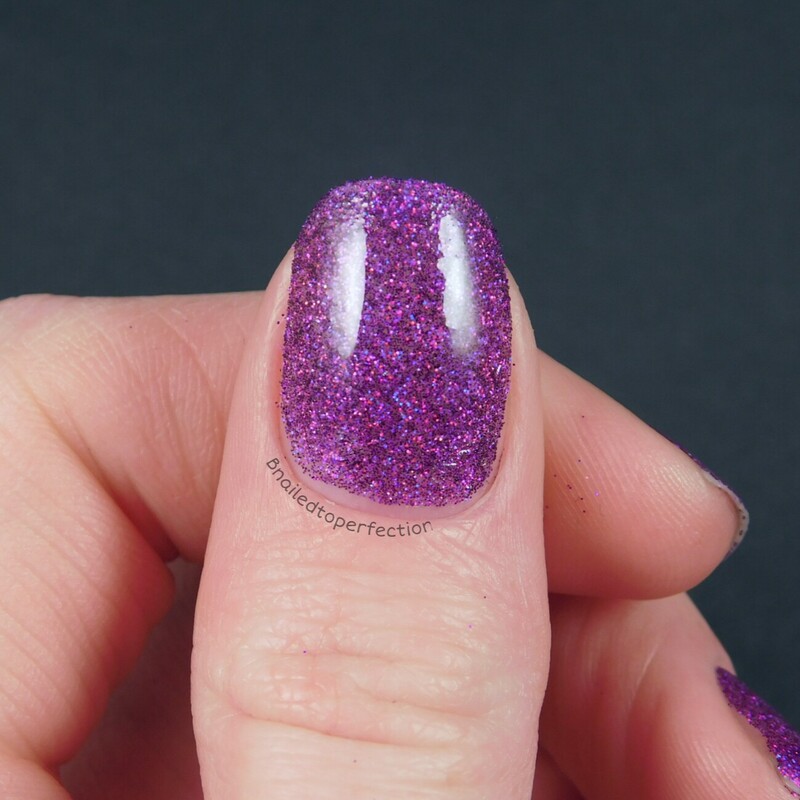 A deep purple holo. This once is called Princess Peach which is a golden peach holo. 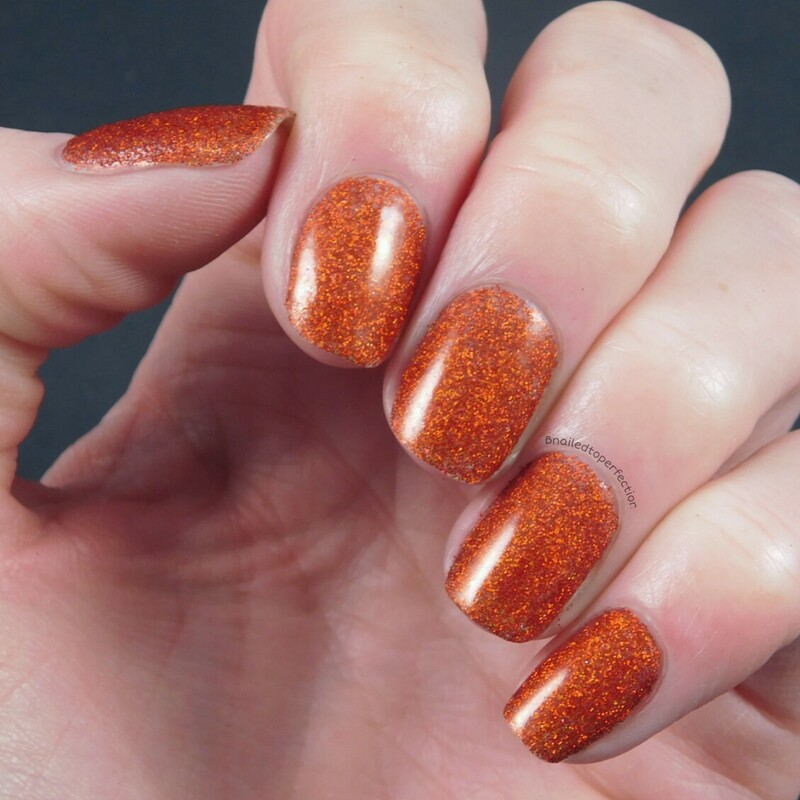 Pumpkin Spice is a spicy orange holo. 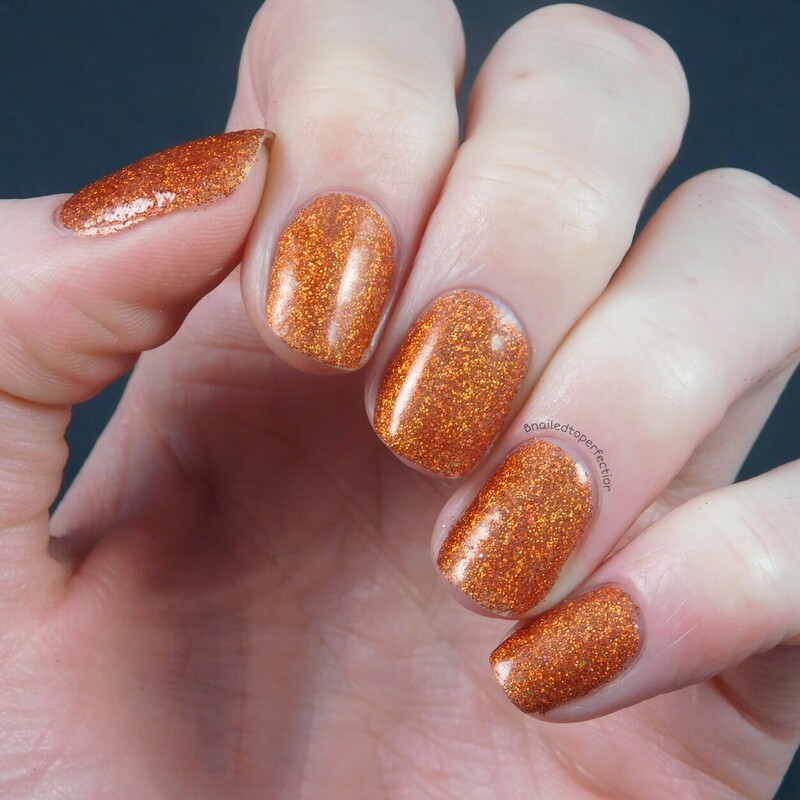 Amber Glow is an orange holo. 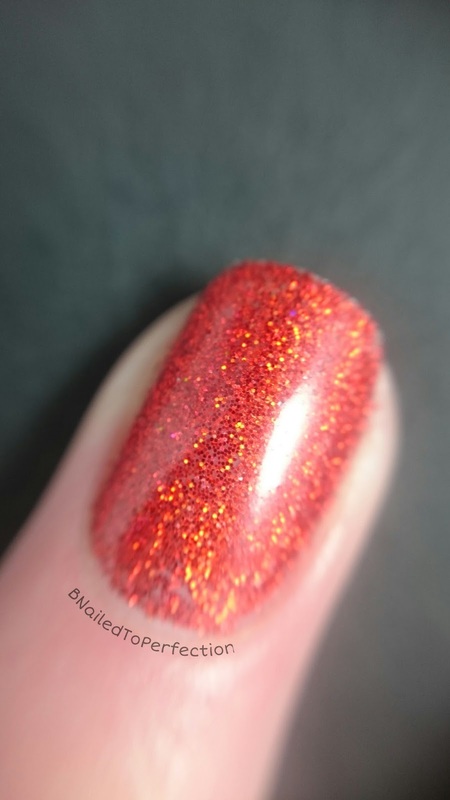 High Voltage is a bright red holo. This was another one that my camera didn't seem to like but the macro shot shows the colour best. 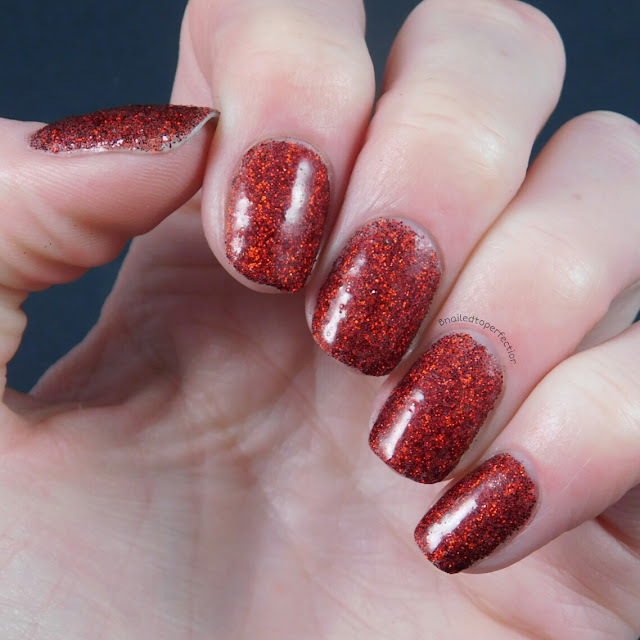 Next we have Dorothy which is a ruby red, just like her shoes. 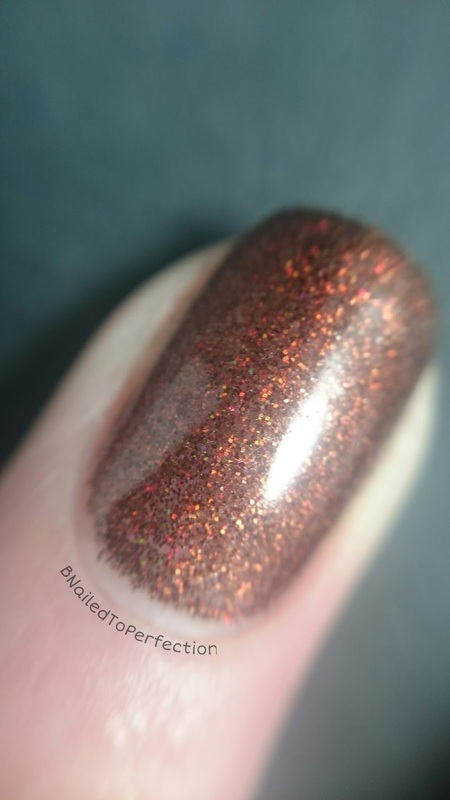 Chocolate Cherry is a chocolate holo. 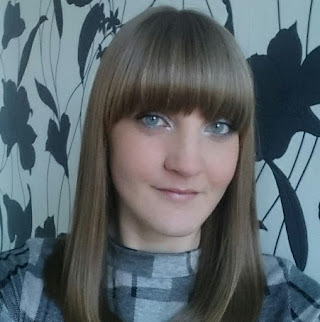 The last one for today and it is another favourite of mine. Perfect Storm. 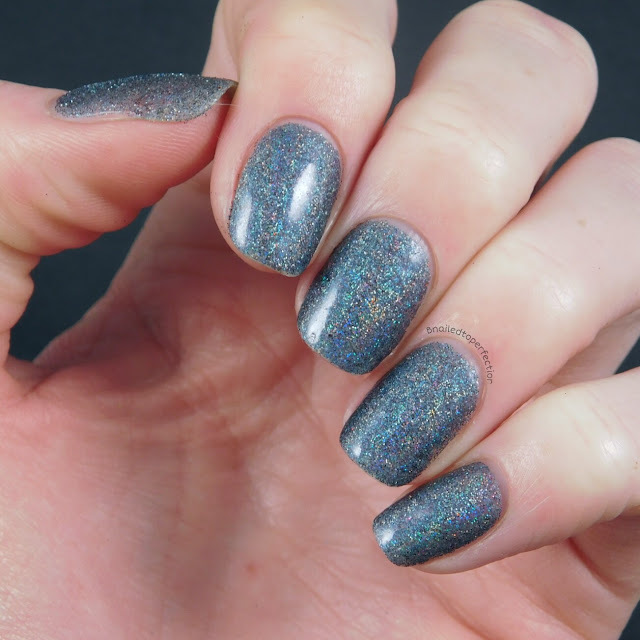 This is a stunning slate grey holo. 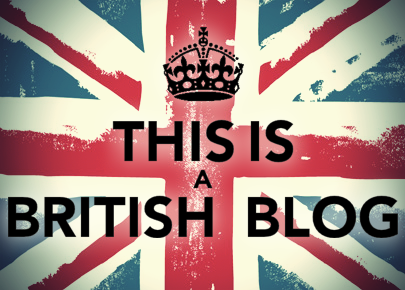 If you are still with me, well done! 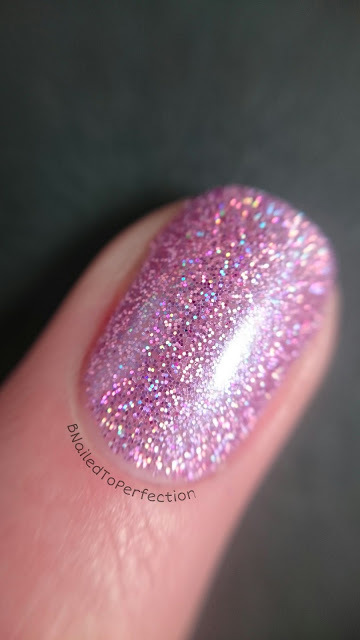 There's a lot of pictures in this post but each glitter is so pretty. As I did full swatches and multiple pictures for each glitter, it has taken me some time to finish the review so the glitters are already on sale at We Heart Nails UK. Each 5g pot costs £2.50 and they are clear so it's easy to see which glitter is which when they are stored away in a case. These have been great to work with and would be a great item to anyone's nail kit. Do you have any favourites? 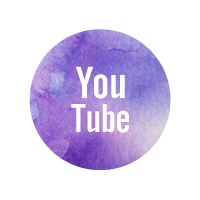 I love Purple Haze and Perfect Storm.